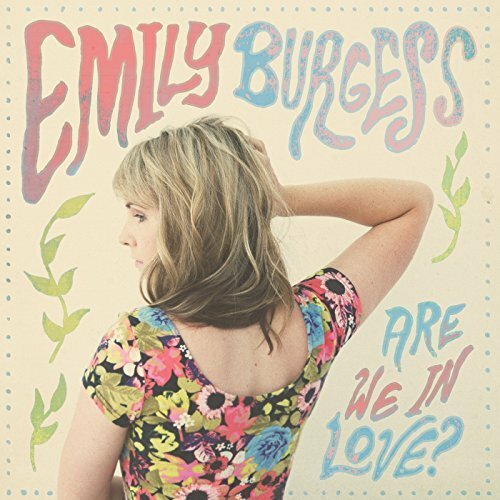 I just had the opportunity to review the most recent release, Are We In Love?, from Emily Burgess and it's fun. Burgess, who has played with a number of top guitarists as well as tours as a part of The Weber Brothers has stepped out on her own. Opening with Til I Get To Call You My Own, a Jimmy Reed style blues number, Emily Burgess has the mic and lead guitar role, backed by Sam Weber on guitar, Ryan Weber on bass, Ryan Brown on keys and Marcus Browne on drums. One of my favorites on the release is pop rocker, All I Wanna Do Is Love You with it's driving beat, sweet vocals and stinging guitar soloing. Blues ballad, Ain't That A Woman, has a great melody and with clean vocals and a nice melodic guitar solo, should easily garner radio play. Rocker, Only One In Your Dreams has a strong power pop sound with overdriven guitars, blended female vocals and Browne on harp. Another of my favorites is Arrested with loose, naïve style vocals, a bouncy rhythm and clever guitar riffs. Wrapping the release is acoustic vocal duet, What Has Been Is All Within, with Hillary Dumoulin. This is a cool release. It isn't straight down blues alley but it has all of the right stuff.